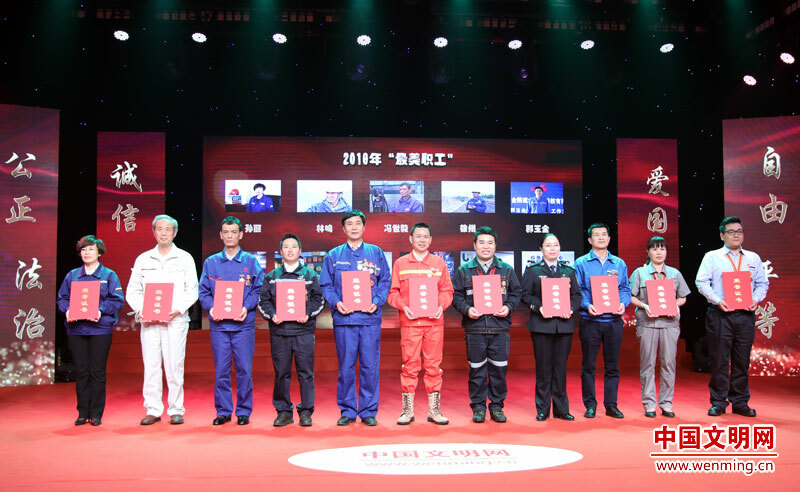 Ahead of the International Workers' Day, the Publicity Department of the Communist Party of China (CPC) Central Committee and the All-China Federation of Trade Unions announced the exemplary deeds of role model workers on April 25. Ten individuals and one group were honored as the role model workers during the announcement ceremony. These model workers were the outstanding representatives of the working people in their fields: They studied diligently, worked industriously and constantly perfected their skills to make brilliant achievements, according to the announcement at the ceremony. Their everyday actions and work ethic embody the spirit of core socialist values and hard work, the statement added. The stories of these grassroots workers were applauded by the attendees at the ceremony. Many people said they would learn from the workers and work hard to advance national prosperity and people's happiness.